Just because someone is ageing doesn’t mean he has to stop working out. If anything, one should engage in senior fitness as he ages in order to still get the many health benefits of exercising. 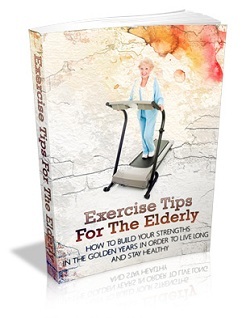 Elderly workouts are exercise activities specifically for middle- and old-aged individuals whose body are not as strong and active as the young generations. They are different from the typical work out routines and regimens that require extreme body movements and flexes. Elderly fitness aims to motivate ageing people to still engage in regular exercise to get the most out of their physical being. Keep in mind that a 70-year-old man who is physically fit and has remained active during his younger years is as strong, if not stronger, than a 30-year-old man who is unfit and remained sedentary. This proves that physical exercise indeed improves the body conditions and muscular strength of an individual. If one has remained inactive for a long period of time, it should not be a problem. 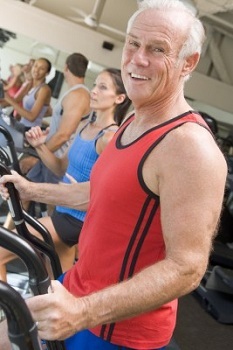 Most programs in senior fitness are tailored to meet the needs of an individual. They can be modified to adjust to what an old folk can and cannot do. Most old-aged people have remained inactive for a long time, that’s why many think that engaging in exercise during this age is not appropriate anymore. However, like gender, race, and class, age should not prevent someone from enjoying and getting the benefits of physical fitness. Age is simply a state of mind. Now, who can participate in senior fitness? Anyone who has grown old but wanted to develop, if not maintain, a healthy lifestyle and physically fit body can engage in this type of physical workout. As long as you have the strength and capability of moving your body around, there shouldn’t be any problem. In senior fitness programs, the optimal amount of exercise time differs from one person to another. There are some factors to consider including fitness goals, individual’s abilities, and intensity level among others. On the average, however, researchers suggest that 300 minutes (or 5 hours) of exercise per week should be enough. While a longer workout time could be better, moderation should still be the priority. Why Elders Should Engage in Physical Fitness? Just as we are encouraging the younger generation to engage in physical activity and strive to have a better lifestyle, we provide the same advice to the older generations. Here are just some of the reasons why senior fitness is important. Exercise helps the elders prevent diseases or reduce their impact. As working out improves the immunity system, heart rate, blood pressure, and digestive functions of an individual, seniors can definitely benefit from it and may reduce the risk of serious illnesses. Say no to diabetes, heart attack, obesity, osteoporosis, and Alzheimer’s disease with exercise! Exercise helps elders lose, gain, or control weight. Because metabolism slows down as we age, maintaining the proper weight can be difficult. The right workout can then help you lose or control your weight by increasing your metabolism, burning calories, and building body mass.